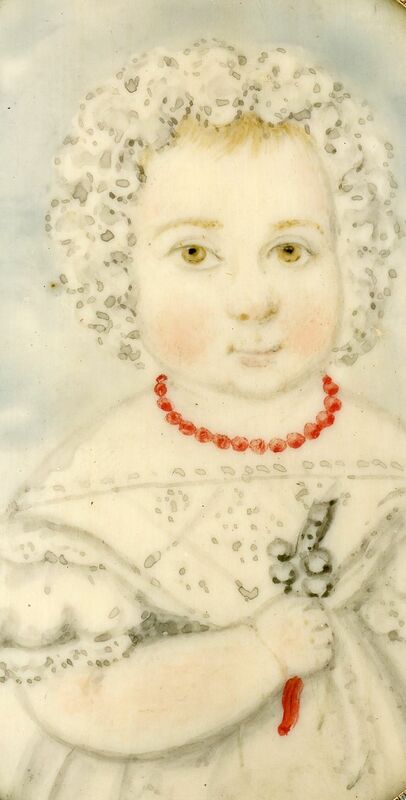 This is a delightful portrait of a little chubby-cheeked child in a short-sleeved dress with a patterned bodice and a matching frilly cap. The coral beaded necklace was often worn by young children at this time in the belief that it would ward off any evil spirits. 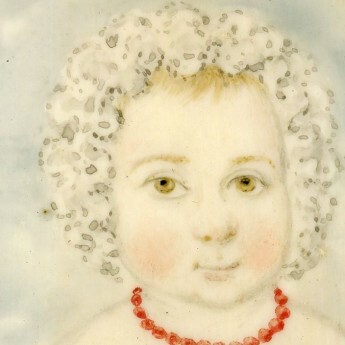 The child is clasping a silver rattle hung with bells and with a coral teething end. 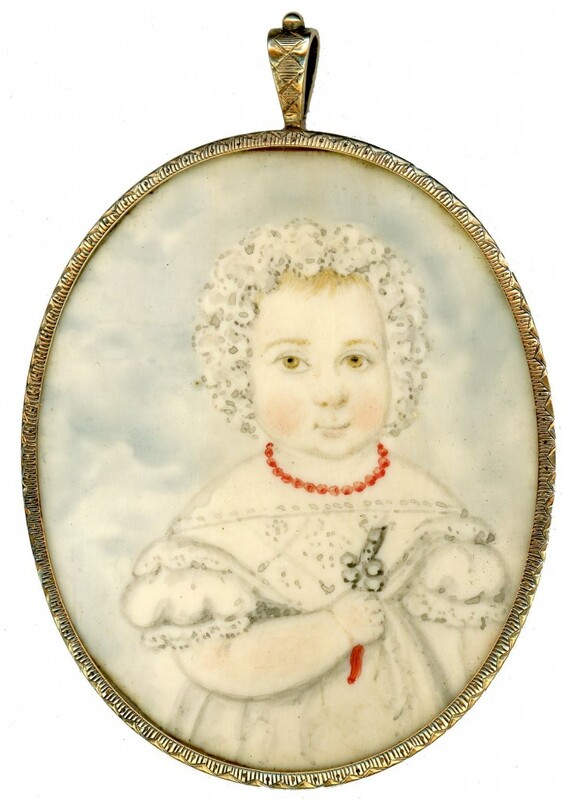 Watercolour on ivory set in a decorative gilt metal frame with a velvet-covered card backing.